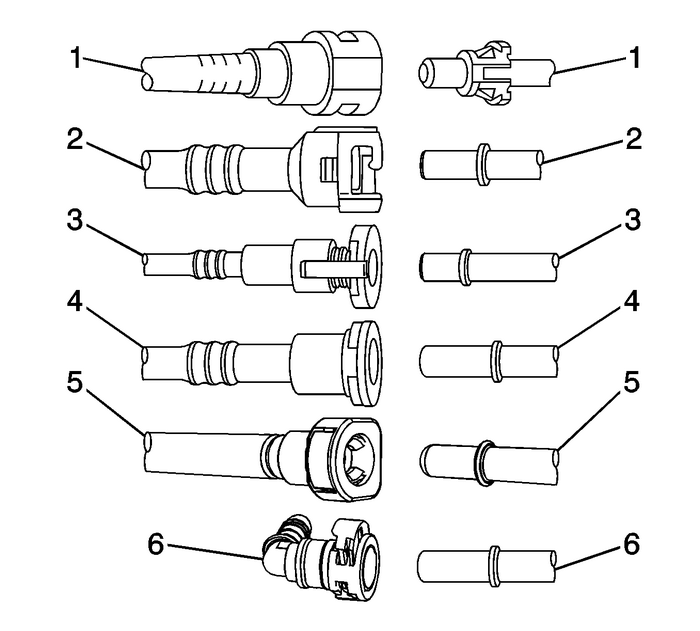 Note:There are several types of plastic collar fuel andevaporative emission quick connect fittings that may be used onthis vehicle. 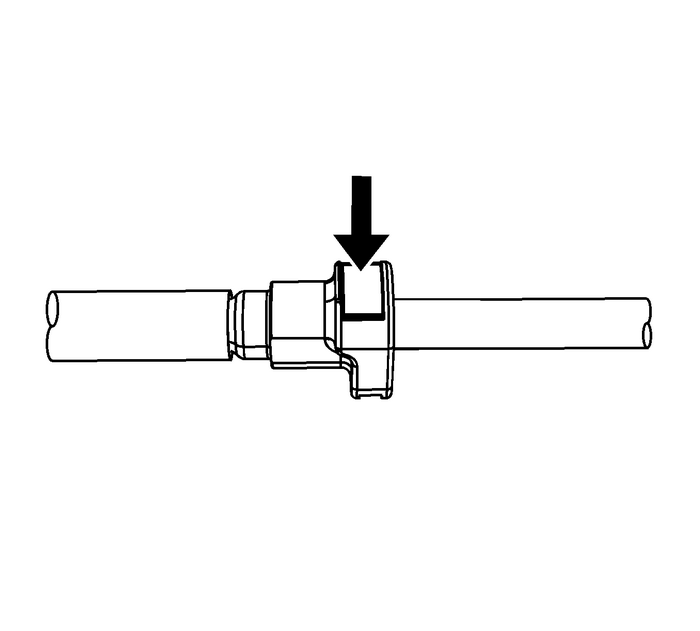 Note:The following instructions apply to all of these types offittings except where indicated. 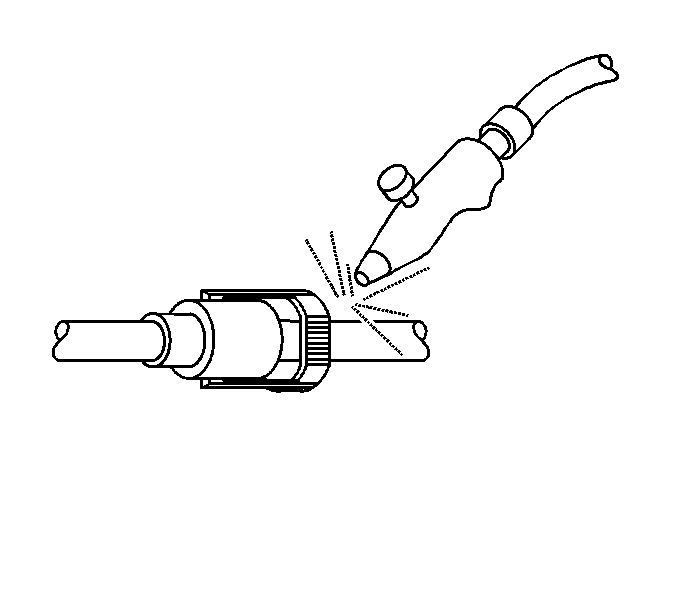 Using compressed air, blow any dirt out of the quick connectfitting. 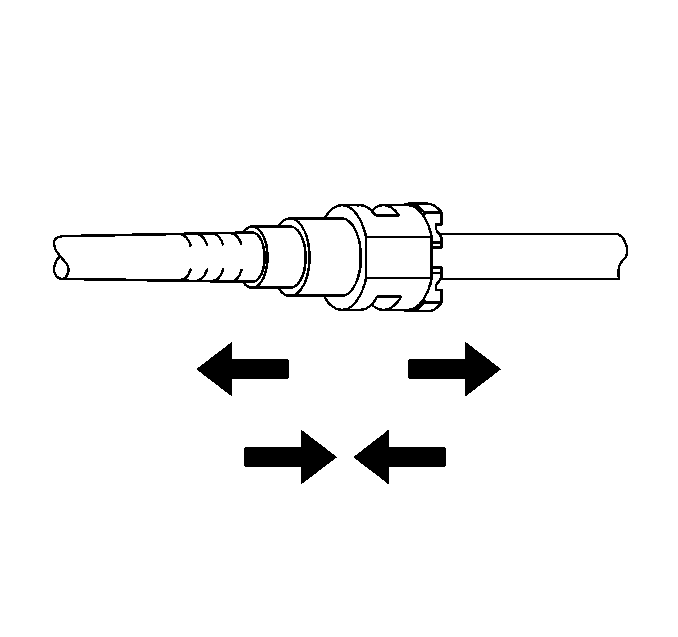 This step applies to the Bartholomew style connectors ONLY.Squeeze the plastic quick connect fitting release tabs. 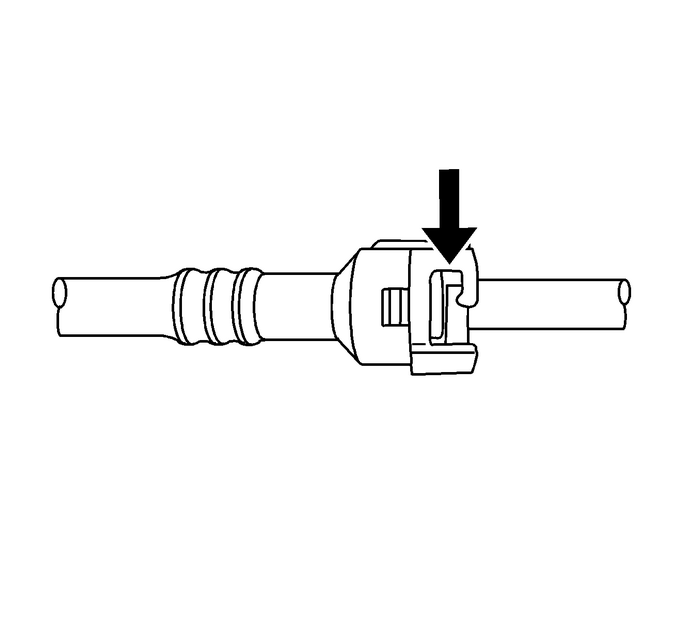 This step applies to the Q release type connectors ONLY.Release the fitting by pushing the tab toward the other side of theslot in the fitting. 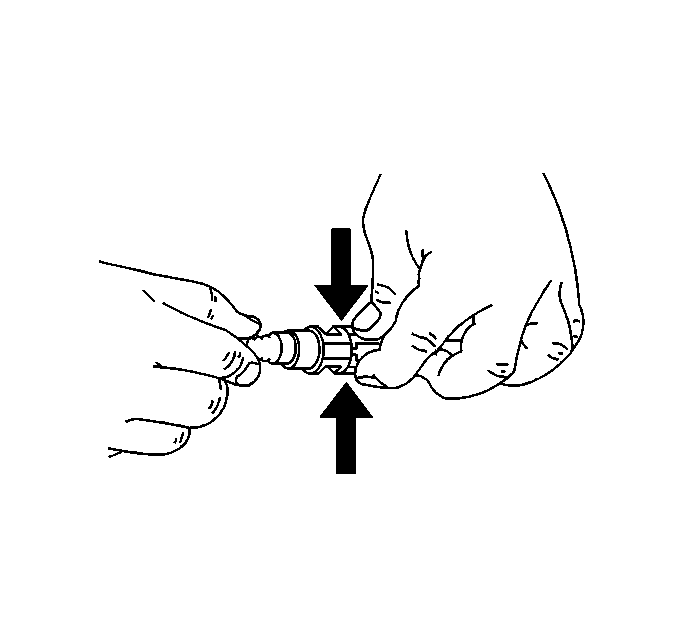 This step applies to the Squeeze to release style connectorsONLY. 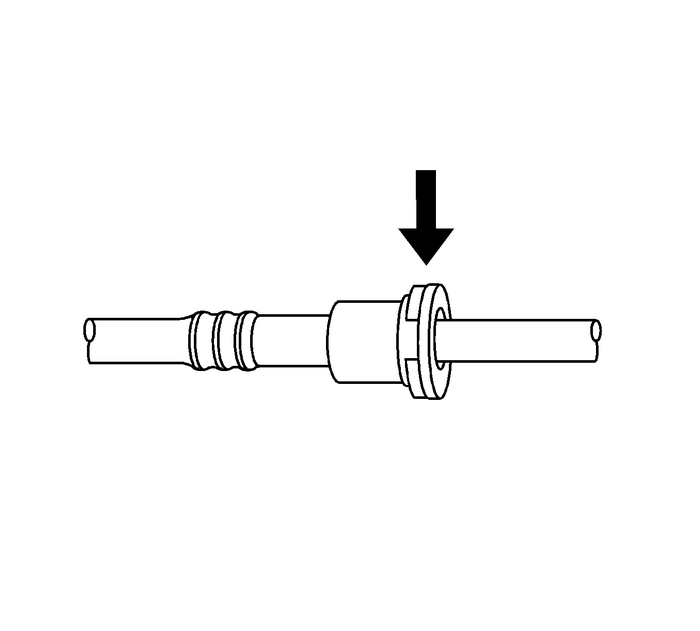 Squeeze where indicated by arrows on both sides of theplastic ring surrounding the quick connect fitting. 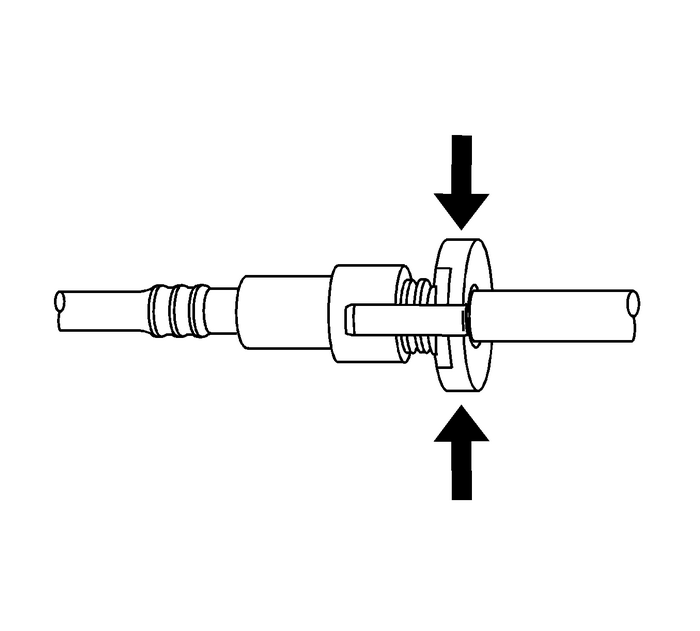 This step also applies to the Squeeze to release styleconnectors ONLY. 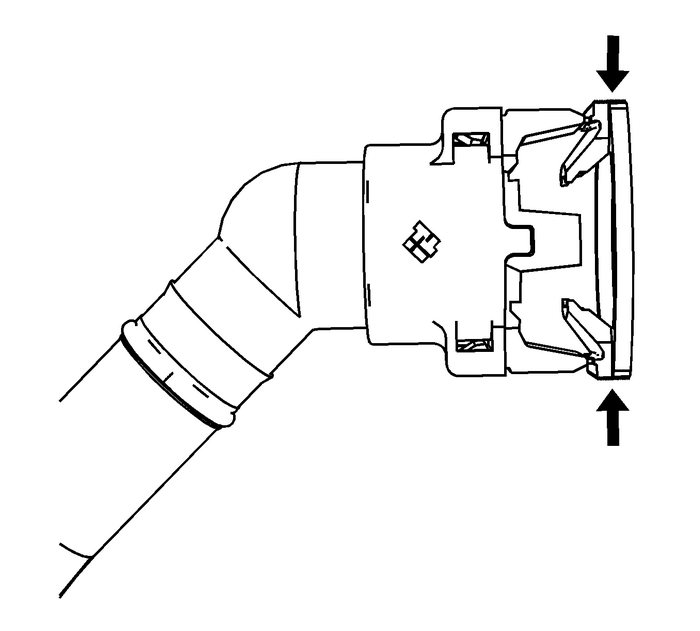 Squeeze where indicated by the arrows on bothsides of the plastic ring surrounding the quick connectfitting. 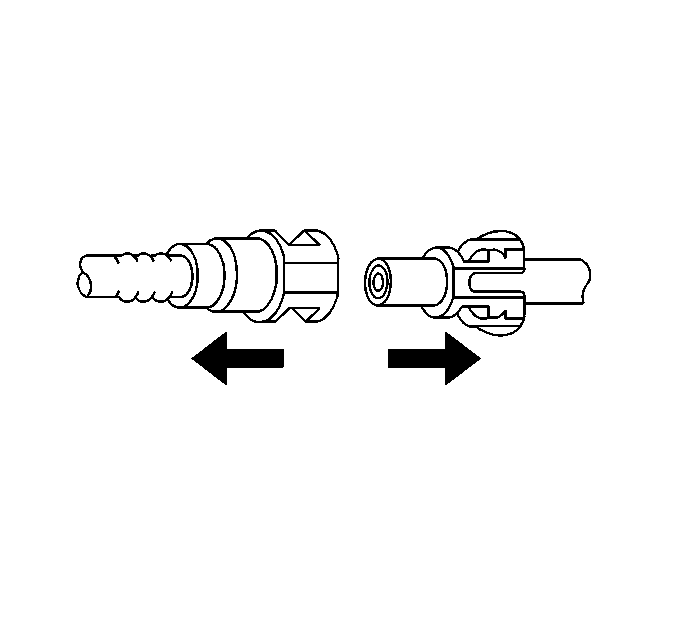 This step applies to the Sliding retainer style connectorsONLY. Release the fitting by pressing on one side of the releasetab causing it to push in slightly. If the tab does not move, trypressing the tab in from the opposite side. the tab will only movein one direction. 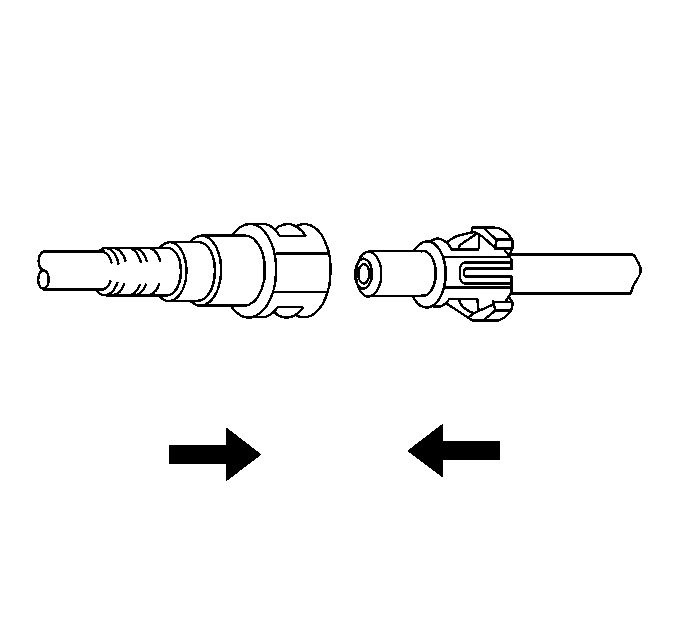 This step applies to the Push down TI style connectors ONLY.Release the fitting by pressing on the tabs indicated by thearrow. Apply a few drops of clean engine oil to the male connectionend. Push both sides of the quick connect fitting together inorder to cause the retaining feature to snap into place. 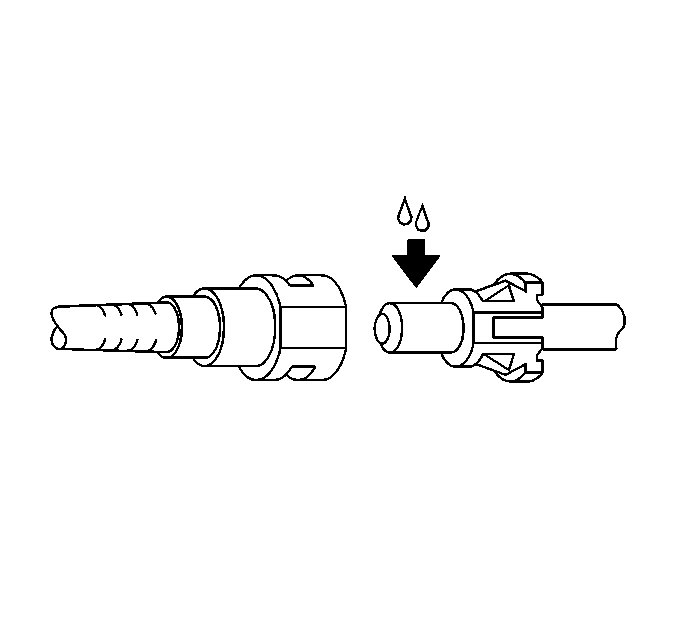 Once installed, pull on both sides of the quick connectfitting in order to make sure the connection is secure.